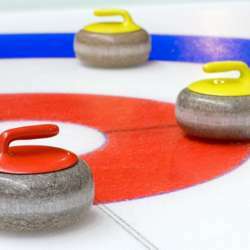 Ever heard of Curling? Ever asked yourself how it would feel to play it? Or are you dreaming of watching men sweeping the floor? Join us at theProtected content to try! Bus 5 or 25 until stop "P+R Sous-Moulin" and then walk 20 seconds to the first building next to the car park with Sapinda Arena written on it. If you come by car, park in the P+R of Sous-Moulin (not free but very cheap) and then walk 20 seconds to the first building next to the car park with Sapinda Arena written on it.